The bizarre film project adapting Japanese Pokemon game Detective Pikachu is gaining traction. 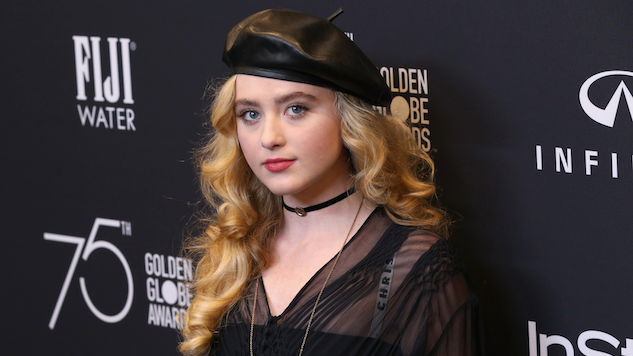 After casting Justice Smith of The Get Down in the lead role, the production has gained another lead in actress Kathryn Newton (per Variety), best known for her role as Reese Witherspoon’s daughter in Big Little Lies. Along with that Emmy-winning HBO miniseries, Newton has appeared in two critically acclaimed 2017 films, Lady Bird and Three Billboards Outside Ebbing, Missouri. She will next appear in BBC’s adaptation of Little Women, Supernatural spin-off Wayward Sisters, Universal comedy Blockers and Julia Roberts drama Ben is Back. The Detective Pikachu film will be produced by Legendary Pictures, and will be distributed by Toho in Japan and Universal worldwide. Rob Letterman (Goosebumps) is set to direct.